The Elves deck did a very solid job of identifying the key themes that make up the flavour of their tribe. Elves have ties to nature- they get mana ramping. Elves work well together- witness cards like Wellwisher and Heedless One which care about the number of elves in play. Elves… well, you get the idea. 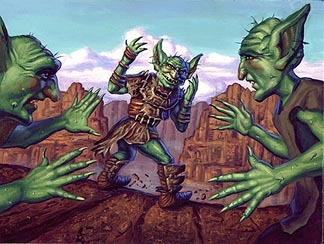 But the pointy-ears already had their time to shine, now it’s time for them to move over and let the Goblins run amok! Like Elves, the Golbins’ deck follows a very straightforward structure. There are twenty-nine creatures, and just as before the one exception is an insect creature type. This is rounded out by a small handful of noncreature spells and a couple of nonbasic lands (including one that’s tribe-specific). The foil premium rare is also a mirror (Ambush Commander versus Siege-Gang Commander, the latter of the two being much better known to contemporaries eyes due to its inclusion in some Jund Constructed builds)., and there are a small number of cards of the same cycle (for instance, Voice of the Woods and Skirk Fire Marshal). That said, both decks still retain a very unique flavour due to the heavy tribal themes. Now that’s fast, even quicker than the elves. Let’s see what we get for the mana. Like any weenie-based strategy, an empty hand can often be the kiss of death if your opponent has managed to weather the early storm. Goblins, too, includes a few summoners to refill the hand and keep you from playing off the top of your library by the midgame. The Goblin Ringleader gives you the same Beast Hunt-esque filter that Sylvan Messenger gave Green. The Goblin Matron allows you to tutor for any Goblin in your library when she comes into play. A pair of Mogg War Marshals are essentially two Goblins for the price of one, overpriced though he be. Finally, the two Skirk Drill Sergeants gives you some limited filtering ability and an opportunity for card advantage not often found in Red. These are stronger than they might first appear, and should be preserved whenever possible. Remember, the elves have very few ways to solve a noncombatant Goblin- force them to blow those Moonglove Extracts! There’s also a small stripe of buffers running through the middle of the deck. Akki Coalflinger can offer first strike, and isn’t a bad deal for his mana cost even on his own. The Goblin Sledder can end games if you manage to get a Goblin through- sac the team, and finish off your wounded opponent. 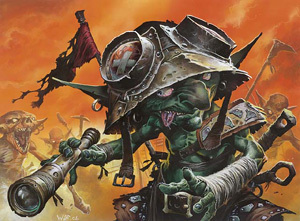 Then there’s the Goblin Warchief, one of the deck’s stars. Not only does he help you get more for your mana, but giving every Goblin haste will often compel your opponent to keep some of their creatures back for defense, giving you some room to manoeuver. Finally, there’s a legend in Ib Halfheart, Goblin Tactician. Ib brings two very solid abilities to the table. First, he turns all of your gobbos into suicide commandos, forcing them to blow up for 4 damage when blocked. Since you’re up against elves, this amount of damage will usually be lethal, and it can certainly weaken a particularly robust creature to give you a chance to finish it off with burn. Second, he lets you convert Mountains to Goblin tokens, just the thing to bolster your arsenal when some of those lands have passed the point of usefulness. Unsurprisingly, you won’t find any lifegainers here, but there’s more than enough of the goblin version to keep you occupied. Goblins packs in ten cards we’ll call burners, for their ability to translate into direct damage. The Tar Pitcher turns any goblin into a Shock. The Flamewave Invoker keeps Lava Axes in his pocket, and will gleefully pitch one across the table for the right mana. The Gempalm Incinerator acts as either a 2/1 body (pass) or a fixed-rate X-spell when cycled. An odd ability, perhaps, but remember that the Gempalm creatures are from Legions, the “all-creature” set. Cards like this- essentially spells assigned to bodies- allowed the set to keep to its theme. Next we have the Mudbutton Torchrunner, who throws a Lightning Bolt when he dies. The deck packs two. It also has a trio of Emberwilde Augurs, which permit you to sacrifice them for 3 damage to a player. 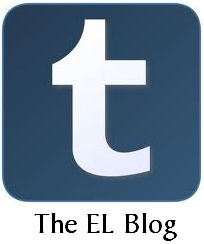 It’s somewhat limited, though, in that it can only be triggered during your upkeep. No free chump-blocks here. Finally, we have the aforementioned Skirk Fire Marshal, who offers you a reset button at a very steep price, and the famous Siege-Gang Commander. Although he doesn’t touch your lands in the way that the elven Ambush Commander does, he brings three of his underlings along and allows you to very cheaply convert goblins to Shocks- a house. The last category is that of the beaters. The second-most populous group (behind the burners), here you find a number of the bodies you’ll readily be flinging into the red zone. There’s the classic Mogg Fanatic, who’s a solid card even if he saw his stock fall after damage left the stack. A pair of Raging Goblins are hold-you-nose-and-play cards, but can still be valuable in other ways later. There’s a trio of Goblin Cohorts, bringing their unique Kamigawa look to the tribe. Their drawback is a significant one later in the game, but should be little impediment early. That leaves a Clickslither (another sac outlet), a Skirk Shaman (intimidator), and a Reckless One. This last card is a powerhouse. Chances are good that you’ll have a solid army on the field by the time you play it, and the haste ensures a very nasty surprise for your foe. 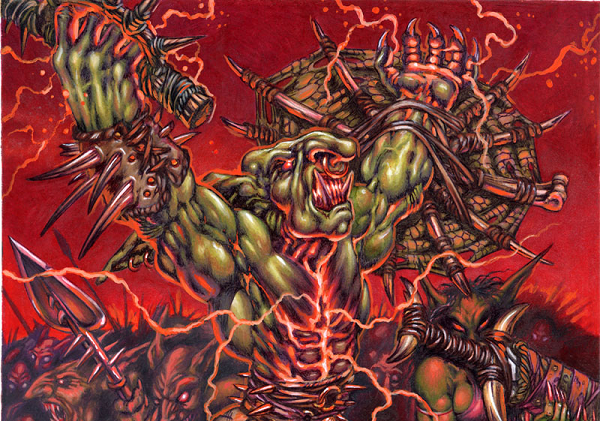 If the horde of damage-conversion goblins wasn’t enough, the deck gives you a trio of Tarfires, a tribal version of the aforementioned Shock (and with Lightning Bolt apparently on its way out in Magic 2012, you may want to start getting accustomed to the 2-damage instant). If 2 damage isn’t enough, there’s a miser’s copy of Spitting Earth here as well. The real fun off the creature path, though, belongs to Boggart Shenanigans, and the deck carries two. One mistake newer players often make is being too conservative on the attack out of fear of losing creatures. Shenanigans takes a little of the sting away by rewarding you when a goblin dies, and it synergises splendidly with all of the sacrifice effects the deck offers. One final bit of support comes in the form of the Goblin Burrows. Unlike the more utility-minded Wirewood Lodge your opponents get, the Goblin Burrows are straight-up aggression. Twenty-four land might be a bit rich in a cheap, mono-coloured deck which can run fine on a leaner mixture, but overall the deck looks rather well put-together. There’s something to a tribal or themed deck that often makes it greater than the sum of its parts, and Elves vs Goblins is no exception. These have stood the test of time to be two of the most popular and enduring tribes the game has to offer. In our next piece, we’ll helm the elves and taken them into battle. Come back in two days’ time and find out how they did! These two sets of matches are going to be a blast to read. This goblin deck reminds me of the Phyrexia deck and all the sacing abilities. Both decks look fun and I wish I would have been around to nab two of these babies. It should be noted that you can tutor for Tarfires and Boggart Shenanigans with Goblin Matron’s ability.